THE outcry over how a health trust handled 11 hospital deaths could be set to grow, with new figures revealing that almost 60 deaths were not immediately reported to the coroner despite a legal obligation to do so. Health Minister Edwin Poots has launched an inquiry in to criticism of how the Northern health trust responded in the aftermath of 11 deaths since 2008. But The Detail has obtained figures from the Coroner’s Office revealing that 56 deaths in hospitals across Northern Ireland were reported late to the Coroner’s Service between January 2010 and March 2013. A death in a hospital should be reported to the coroner if it is as a result of negligence or if the cause is unknown. The new figures show that a string of cases went unreported for weeks and in some cases months. The two longest referral periods were in the Belfast Trust area regarding deaths at the Mater – 85 days and 57 days. The trust has confirmed to The Detail that these cases “ought to have been reported to the coroner at the time when deaths occurred”. In a statement to The Detail the Department of Health said the late referrals needed to be looked at in the context that in the same period a total of 5,655 deaths were reported by hospitals to the coroner. However critics have raised questions about the number of deaths that may have needed further investigation from a coroner but may have never been reported. In a further development, former coroner David Hunter who contributed to a major review of the Coroner’s Service has told The Detail that all hospital deaths should now be scrutinised as a matter of routine. But it is bereaved relatives who have led the latest demands for a radical overhaul. In a previous story, The Detail interviewed the family of a man whose death is one of the 11 under investigation at the Northern Health Trust. Eighty-one year old Neil Cormican died in April 2010 after he was mistakenly prescribed potassium while being treated at Antrim Area Hospital. Following his death health staff failed to immediately refer the case to the coroner’s office despite an obligation to do so and gave the family the option of not referring the case. 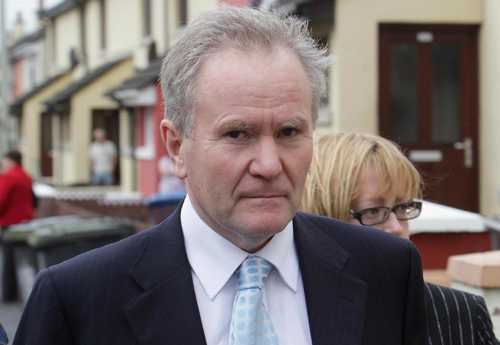 During Mr Cormican’s inquest last year, Northern Ireland’s senior coroner, John Leckey, expressed his frustration at delayed referrals and said a failure to report hospital deaths that require further investigation to his office was a “very serious matter” that could warrant police investigation. Despite the growing criticisms of the system, health officials have said that it is believed that most of the deaths that are reported late are due to the emergence of new information as opposed to “a failure to report the death at all”. Coroners are independent judicial officers who deal with matters relating to deaths that may require further investigation to establish the cause of death. Doctors, registrars, police officers and funeral directors are required by the Coroners Act (Northern Ireland) 1959 to refer certain deaths to the coroner. These include death by violence or misadventure, as a result of negligence or misconduct or malpractice, due to a work related disease, or if the person has not been seen and treated for the disease causing death within 28 days prior to their death. When a death is referred to the Coroner’s Service it will decide if a death certificate can be issued or if a post-mortem examination is needed to establish the cause of death. In a Freedom of Information request, The Detail asked the Northern Ireland Courts and Tribunal Service for a breakdown of hospital deaths which were reported late to the coroner. It provided a breakdown for the period January 2010 to March 2013. Referrals received three days after the date of death are deemed as late by the Coroner’s Service. The figures show that there were 56 cases defined as late during this time. 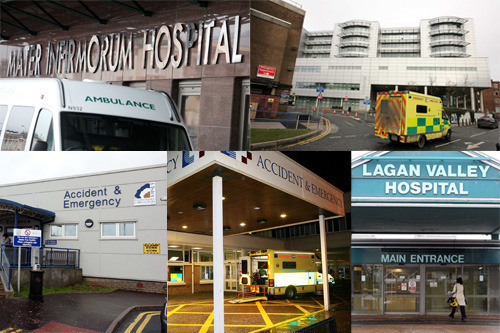 Altnagelvin Hospital had the most late cases with 13, followed by the Royal Victoria Hospital with eight and Antrim Area Hospital with seven. In some instances cases can be referred late to the coroner as a result of internal reviews uncovering new information. In a further FoI request we asked the court service for the longest delays in referrals to the coroner’s service during the three year period of 2011-13. The figures we received in response show that in most cases delays were days or weeks. However in January 2011 and again in December 2012 the Mater Hospital referred cases to the coroner months after the death occurred. In a statement to The Detail the Belfast Trust said: “The incidents in the Mater were reported by the trust to the HSCB and investigated as serious adverse incidents. In 2003 the role of the Coroner’s Service in England and Wales was thrust into the spotlight following revelations that Dr Harold Shipman – a GP based in Hyde – had killed at least 215 of his patients. The report found that he was able to evade the notice of coroners through the issuing of death certificates stating natural causes as the cause of death. The extraordinary circumstances of this case forced a rethink across the board, and were reflected in the recommendations of the Shipman Report (2003) that all non-suspicious deaths should be investigated. The report’s author, Dame Janet Smith, was critical of the fact that the system for recording deaths and reporting deaths to the coroner depended almost entirely on “the good faith and judgement of the doctor”. Following the Shipman Inquiry the UK government also commissioned an independent review of the coronial and death certification systems in England, Wales and Northern Ireland chaired by Mr Tom Luce, which was published in 2004. The Luce review echoed many of the findings of the Shipman Inquiry and advocated a major change in the death certification system, whereby every Medical Certificate of Cause of Death (MCCD) should be vetted by another doctor or a medical assessor. However the recommendations from both the Luce and Shipman inquiries that every death should have some form of second scrutiny, was overlooked by the UK government and deemed as too expensive to implement. The Government instead appointed a chief coroner, accountable to Parliament, who would be responsible for developing national standards and guidance for coroners. The new look Coroner’s Service for Northern Ireland was established in April 2006 and since January 2009; a medical officer has also been in post. The medical officer provides advice to the coroners and other staff. They also communicate with registered medical practitioners reporting deaths and meet with bereaved families to provide advice on the cause of death and to discuss any concerns they may have. The medical officer does not have a role in scrutinising deaths not reported to the Coroner’s Service. In December 2010 a joint review by the Department of Health, Environment and Finance published a review of death certification here. It looked at the establishment of a Medical Examiner post and recommended this person would be involved in the completion of all death certificates that are not reported to the coroner. The medical examiner would carry out a “basic scrutiny” on all non-reportable deaths and the review stated that the position could be located within either the Health and Social Care Board or the Public Health Agency. We asked the Department of Health what progress had been made on this recommendation. It said reforms to the death certification process were on-going and that they had already improved death certification training for registered medical practitioners. A spokesperson for the department said the appointment of a medical examiner was a “longer term aspiration” and the decision of whether or not the position was necessary would be informed by the progress made in strengthening current arrangements. Former coroner and now practicing solicitor, David Hunter, contributed to the Luce Review. He said the fact that many recommendations on how to improve the death certification process “remain on the shelf” is a missed opportunity. He said: “I would suggest that this medical assessor should be independent from hospital trusts and should be made accountable to the coroner. In today’s world of instant communications it would be a relatively easy system to introduce. “For instance, every hospital death where an MCCD is going to be issued could be double checked by the medical assessor. The hospital doctor could e-mail the details to the medical assessor and a decision could be taken in minutes as to whether the assessor was content with the MCCD or whether the death should be reported to the coroner”. IS THERE POLITICAL WILL FOR REFORM? As previously reported by The Detail, in June 2013 the chairman of the inquiry into child fluid deaths here, Mr Justice John O’Hara, said that he had a major concern that some doctors didn’t know their responsibility to report to the coroner. Following the death of toddler Lucy Crawford, her case was not referred to the coroner for an inquest and a hospital post-mortem examination was directed instead. When giving evidence at the Hyponatraemia Inquiry last year, Northern Ireland’s most senior coroner, John Leckey, was also told that hospital management had “controlled the information” that reached him about the deaths of children in their care. Mr Justice O’Hara said there was evidence of health trusts withheld information from Mr Leckey’s office. Mr Leckey acknowledged that this was “disappointing” but in his evidence to the inquiry he said that in recent years it was his experience that clinicians were more open with his office and that families are more likely to question information after a relative’s death. Mr Leckey also said that he believed there was “more openness in recent years” and that medical professionals were now encouraged to admit mistakes. We requested an interview with Mr Leckey but he declined. In a statement to The Detail the Department of Justice in Northern Ireland said a new Legal Aid and Coroners’ Courts Bill which has just been introduced to the Assembly will provide for the Lord Chief Justice to be the president of the Coroners’ Court and require him to appoint a presiding coroner. However, David Hunter maintains that the system needs to be more robust to spare families added grief at such a traumatic time. He says the introduction of a medical assessor would be cost effective and eliminate many of the current problems of death reporting.